Julian had to get back a day earlier than Dave and I, so he took the hotel’s shuttle to HND for his departure, which went smoothly. Dave and I walked across the street to Nippon Rent-A-Car, where we had secured a cheap 12-hour compact car rental for the day. We drove east to Chiba/Ibaraki to clean up on a handful of key species we didn’t want to miss. We ended up doing a lot more driving than birding. Traffic was dense at times, and the going was slow, even on the toll roads. Our targets were very scattered throughout the two prefectures, and we ended up doing a large loop. 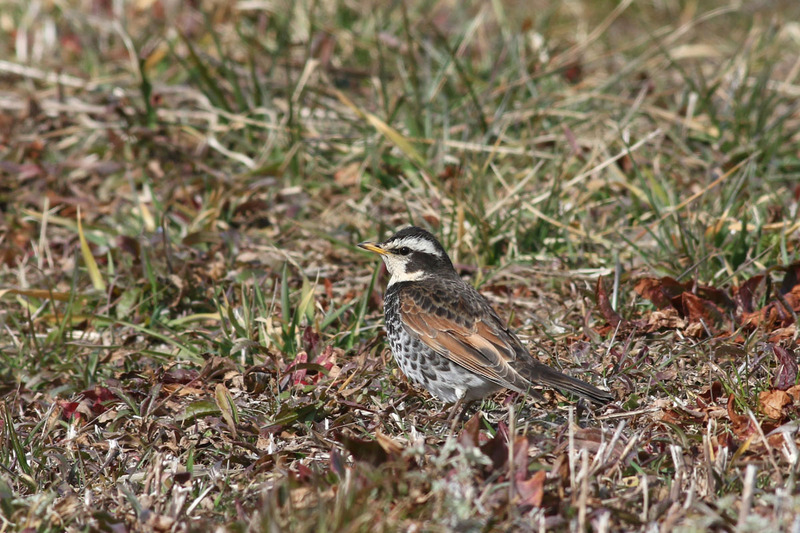 One of our prime targets was Brown-headed Thrush. 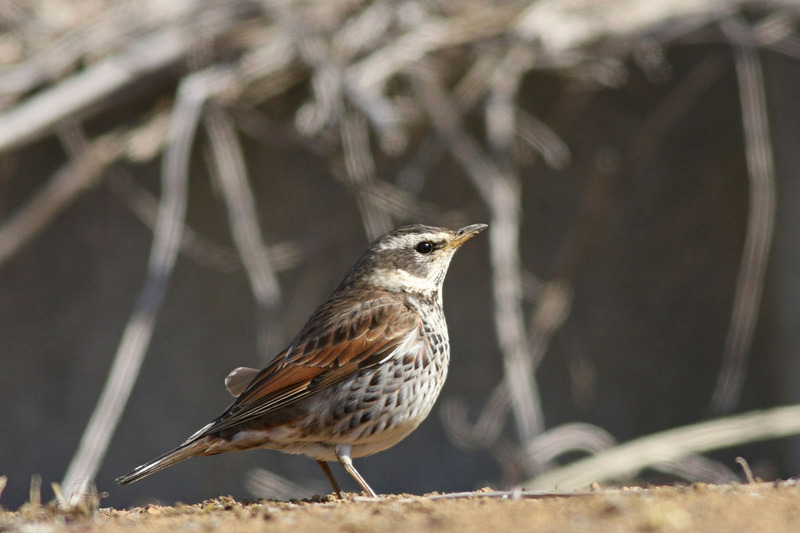 This species can be seen in small numbers at several locations in and around Tokyo, but a particular cluster of reports around Narita Airport was most convenient for us. We began by walking the woodland immediately north of the Hilton Tokyo Narita Airport, between the hotel itself and the Tokko River. After unsuccessfully stalking a couple of Turdus thrushes in dense undergrowth, we had brief but close views of a BROWN-HEADED THRUSH along the north edge of the woodland. The birding here was good for common passerines and included a JAPANESE WAGTAIL. From here we drove ENE to the Tone River reed beds in search of Ochre-rumped Bunting, which had been seen there recently. Upon arrival the wind really kicked up, and we knew that passerine birding would be affected. 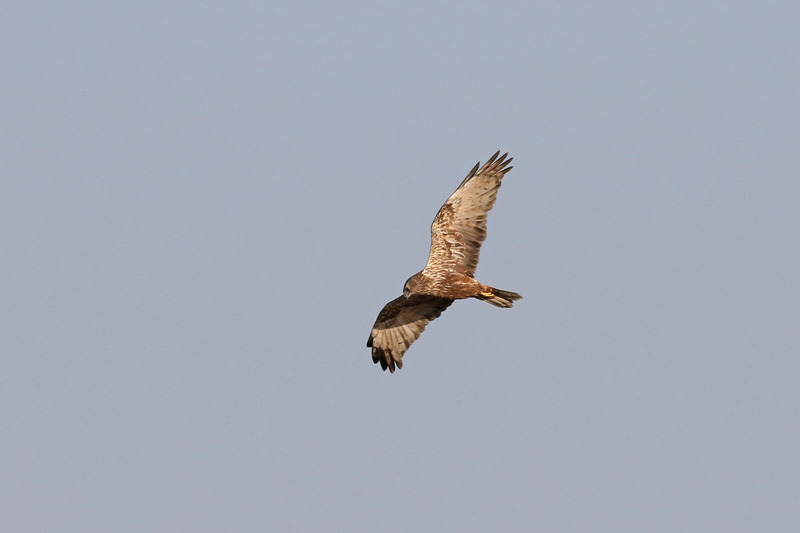 We dipped on the bunting but had our first looks at EASTERN MARSH-HARRIERS. Flocks of diving ducks littered the river, and several species of gull were commuting up and down river. We made a very quick stop at Ukishima Marsh, only because we were driving past it, and noted another EASTERN MARSH-HARRIER. This is a very reliable spot for this raptor, and from what I can gather it may be a roost site for them, as I have seen several double-digit evening counts. 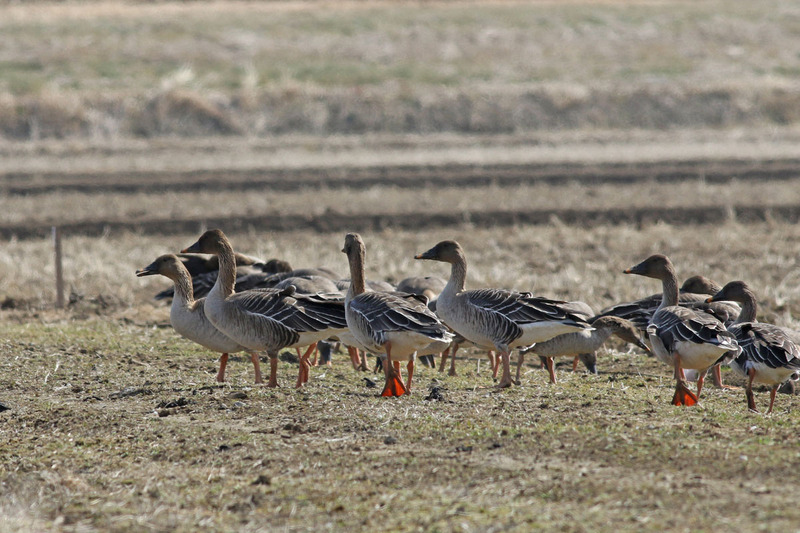 Our next stop was the Edosaki rice paddies, where a flock of TAIGA BEAN-GEESE winters. We found the birds pretty quickly and proceeded to drive the farm roads so we could get close views and photos…that is, until a man began waving from the other end of the fields and yelling at us in Japanese. It was obvious that he was adamantly telling us to leave. It took us a bit to realize that we had entered from the west side (which must have been the back way) and illegally driven into the field complex, which is actually a protected area! We had no idea; it was an honest mistake. These things can happen when you chase down random eBird reports that include no background information. Anyway, we left the fields and drove away without even getting out of the car. It was a bit anti-climactic. 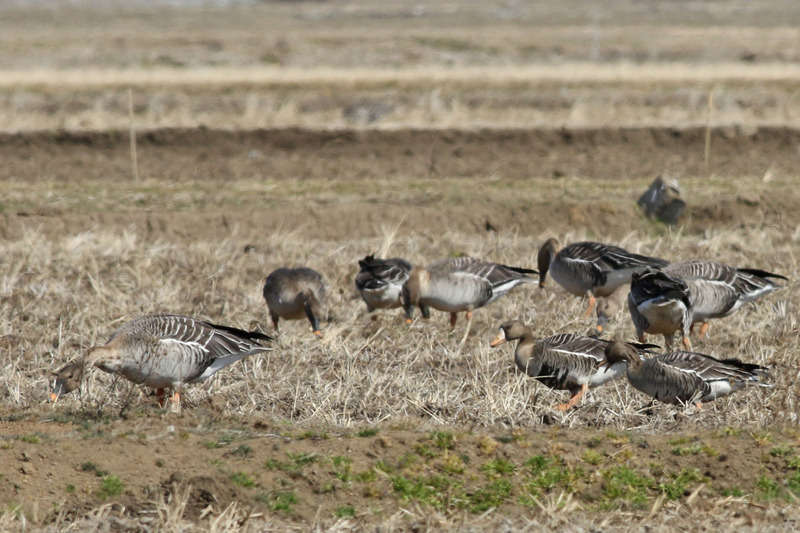 Before we left, though, we did pick out two GREATER WHITE-FRONTED GEESE in the bean-goose flock. We would find our next stop, the Motono rice fields, more frustrating. We were in search of the “BEWICK’S” TUNDRA SWANS that winter here. We had a particular farm pond marked, but we arrived to find carloads of people doing who-knows-what, and only six sleeping swans on the pond. We didn’t even bother with that mess and resigned to driving around the surrounding fields, checking farms and waterways for more swans without any luck. Moving on! After all that driving, it was time for some proper birding. We spent the last couple hours of daylight at North Lake Inbanuma, not in search of anything in particular. We viewed from the northwestern shore, which was quite birdy, though our attention would be fixed onto one bird for some time. 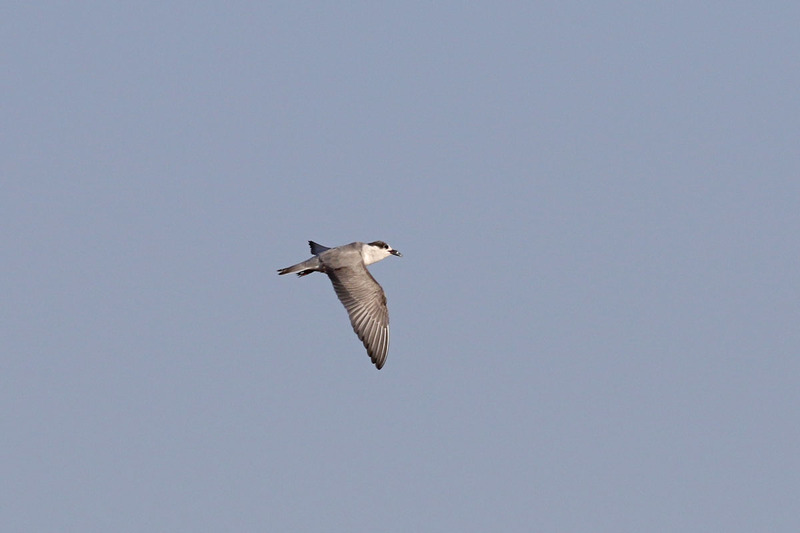 We spotted a TERN flying over the lake, which we soon realized was one of the marsh terns (Whiskered, White-winged, or Black…in decreasing order of likelihood). Any of those would be a very good bird for February. 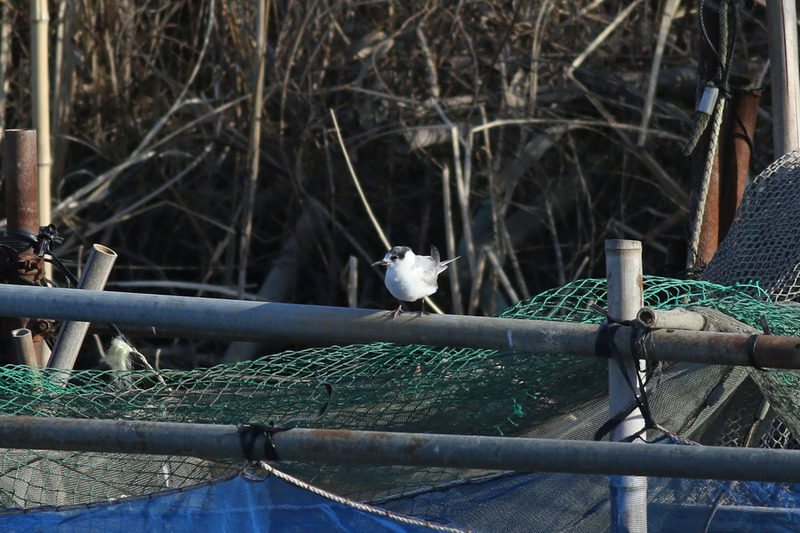 I recalled a marsh tern being reported from a lake in Chiba in the preceding days, but do not think it had been identified with confidence; it was presumed a Whiskered based on likelihood. This was likely the same bird. Dave and I struggled in the field to put a name to it. This was a first-winter bird. We captured a bunch of images. Later that evening, after dinner, we scoured the internet for resources and realized it was a WHISKERED TERN. 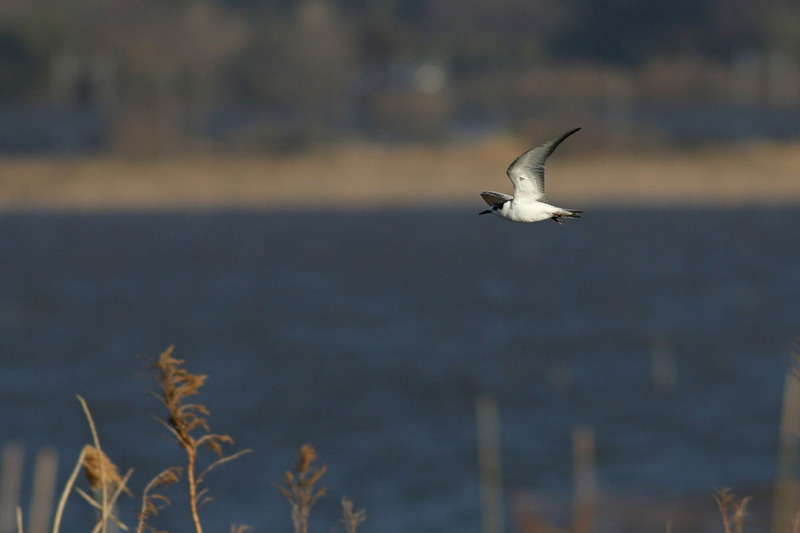 It was a nice lesson in basic-plumaged Chlidonias terns. While the tern monopolized our attention for a while, we did get to enjoy some of the other birds around the lake. FALCATED DUCKS were well-represented with a flock of 160, by far our highest count of that species for the trip. Three SMEW were scoped from a distance. A few more EASTERN MARSH-HARRIERS coursed over the reeds that lined the lake. We could have explored this place for a while longer, but we were losing light and we had to return the car by a certain time to get the reduced 12-hour rate. Our birding in Japan had come to an end. It was great to close out the trip with an unexpected bird and a bit of an ID challenge, especially after a day of pure ticking-and-running. After returning the car, we walked to dinner near Haneda Inn where we had pizza at an Italian restaurant. I promise that the pizza was actually pretty good. Or maybe we were just sick of fish. Night at Haneda Inn. Dave and I took an early morning shuttle to HND for our flight back home, direct to JFK. 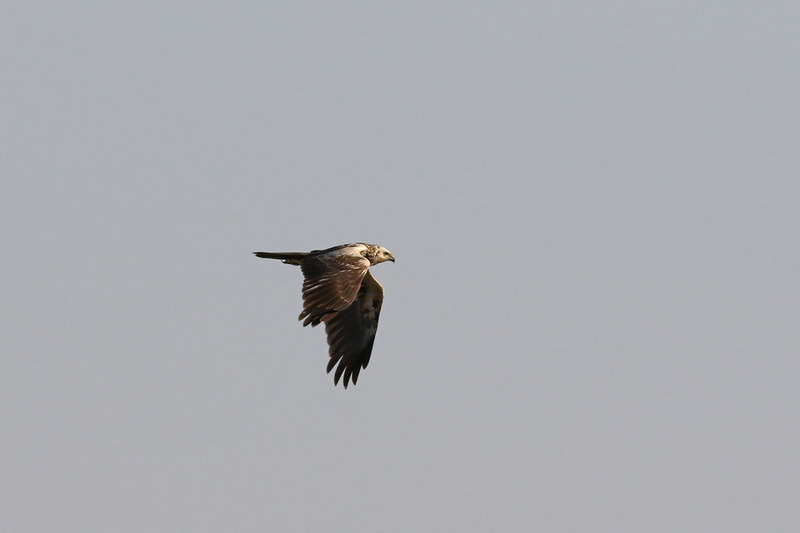 PS - Again, check Cloudbirders soon for the full report with logistical/planning details! Some parts of this blog may refer back to that section of the full trip report, so if you see a line of text referring to a piece of information that does not seem to exist here, it is likely in that full report. Thanks for reading!